The following article appeared in a special 2014 issue of Reform Judaism entitled, “Strengthening Congregations: A Symposium”. It is being published here with the permission of the Union of Reform Judaism. The entire issue can be found at http://www.reformjudaismmag.org/strengthening-congregations-symposium. In my book, Finding a Spiritual Home, I profiled four congregations, one from each of the major American Jewish denominations. Each had a track record attracting serious Jewish seekers who tended to avoid conventional synagogues. What emerged from the study were four principles that these congregations seemed to share and which suggested an exciting new paradigm for American synagogues. I’ve come to call this paradigm “intentional spiritual community” and I have worked with dozens of congregations helping them move from the older, synagogue-center paradigm, whose appeal is fading, to this newer paradigm. This work in the field has allowed me to fine-tune the four principles which I believe can help American synagogues become better suited to the contemporary realities of American society. Intentional spiritual communities are able to articulate a clear mission, and draw people precisely because of their mission. If one were to poll people who are affiliated with most conventional synagogues, I’d be surprised if 1% had any idea what the mission of their congregation was. The exception might be a congregation such as Westchester Reform Temple in Scarsdale, New York, which has five beautifully carved wood pillars in its foyer, each featuring one of its five core values: spirituality, community, learning, repairing the world, and responsibility for all Jews. In successful congregations, the rabbis and staff educate the members about the mission, all programs are aligned with the mission, and the governing body continually re-assesses its budget and program priorities based on how best to advance the mission. Kavanah Cooperative in Seattle, founded by Rabbi Rachel Nussbaum in 2006, has a clear mission statement followed by eight core values that inform its communal endeavor. Kavanah’s programs are open to anyone, but the community encourages those who come regularly to become a “partner” in the same way that someone might become a partner in a food co-op. Partnership comes with certain obligations to the community. The process involves a meeting with the rabbi during which the new partner clarifies what s/he can bring to the community and the rabbi clarifies that partnership, in turn, entails a level of obligation to the community, including a financial obligation. In these ways Kavanah Cooperative inspires people to enter a covenantal relationship with the community. While this higher bar of expectation may scare off many Jews who are not prepared to make a deep commitment to a spiritual community, those who join create a community far more engaged than what one will find in conventional synagogues in which the only expectation is the payment of annual dues. The energy of intentional spiritual communities becomes a magnet for many Jews in search of true community who might otherwise not even consider joining a synagogue. The greatest single mistake made by non-Orthodox Judaism over the last 100 years has been to assume that the way to get Jews into the tent is to offer “Jewish lite.” The original assumption that less is more was not without reason. For Jews whose main goal was to acculturate into American society, why make Judaism too demanding? Today, however, as Jews have met with a high degree of social-economic success, “Jewish lite” has lost its appeal. The way to attract Jews back into the bosom of Jewish community is to offer them an alternative to the overly secular, overly consumerist, and overly superficial aspects of American society. Judaism needs to declare itself to be radically “counter-cultural.” The “program” is Judaism in all its depth, in all its wisdom, in all its cultural complexity. There is no more powerful evidence to the truth of this assertion than the strength of Orthodox Judaism in America, a phenomenon that defies all the sociologists’ predictions in the middle of the 20th century. Our challenge is to create a form of serious, non-Orthodox Judaism that can be fully inclusive (e.g. gender-sensitive, LGBT-sensitive, and gentile-sensitive). Successful synagogues will be able to compete in that marketplace with high quality and serious explorations of Judaism that offer an approach to life that is far more meaningful than one could hope for by just being part of the general culture. I offer three examples from the congregation where I served as founding rabbi, Adat Shalom Reconstructionist Congregation in Bethesda, Maryland. My successor, Rabbi Fred Scherlinder Dobb, is a committed and highly regarded Jewish environmentalist who has brought that ethos into the congregation. His initiatives included the creation of a community garden outside the doors to our social hall. For nine months of the year, students from our Torah school use it as a living classroom, dozens of congregants volunteer to dig, plant, weed, and harvest—some even do it instead of coming into services on Shabbat morning (and it’s okay, they can tell the rabbi!). During the warm months, some of the harvest becomes part of our Shabbat oneg lunch, and the rest of the harvest, hundreds of pounds, is donated to a local food pantry. All of these activities are fully aligned with the congregation’s mission—a fulfillment of how Jews are meant to steward the earth, sustain the poor, and create ecologically sustainable lifestyles. Our cantor, and soon to be ordained rabbi, Rachel Hersh, has created an adult education program that demonstrates how setting a high bar of expectation attracts more, not fewer Jews. The program is called Yesodot haLimud [Foundations of (Jewish) Learning] and each of the two cohorts already conducted has “sold out” (there is a tuition fee) with 25 participants, Yesodot haLimud is an 18-month program of study in Torah, siddur, and Jewish expression. The class meets twice a week, includes a Shabbat retreat and several Shabbat dinners, and requires two final projects. One is a dvar torah that is offered to the class. The other is a more creative expression that takes a piece of Torah or liturgy and is offered up as a piece of art, poetry, song, or video. Participants range from young parents to senior citizens. In addition to the classes, sicha (conversation) groups of four meet monthly to support individuals through the learning and also to build new friendships, the lifeblood of any healthy spiritual community. The entire congregation benefits because the graduates are far more proficient in their Judaic knowledge and skills, and are far more likely to attend services, volunteer, and become leaders in the congregation. The third example of what serious Judaism might look like is an annual service mission to build houses for people in need. In 2010 I was invited to travel to Haiti to teach a group of Israelis who were there as part of the disaster relief following the devastating earthquake. I met a young, charismatic pastor named Johnny Felix who founded a church and a school in Leogane, near the epicenter of the earthquake. I was so inspired by what he had done that when I returned to Adat Shalom I spoke about my experience and proposed that we, as a congregation, adopt Pastor Johnny’s school. The project requires that Adat Shalom’s families commit $100/year for five years. Currently more than 100 households are partners (20% of our membership). With the money we underwrite teacher salaries, school computers, and scholarships for students who cannot afford the $75/year tuition. In addition, we are now planning our third service mission to Haiti, where both teens and adults will build houses and work with the community. Our congregation has been totally galvanized by this tangible expression of our desire to heal one small corner of a broken world. This coming summer we will add a domestic service mission to our congregational program in the hope that we will inspire even more members to engage in hands-on tikkun olam work. If you walk into our lobby you will find pictures of Adat Shalom members on these service missions. I call it “Jews with hammers.” It is the way we walk the talk of Judaism. One of the major differences between conventional synagogues and intentional spiritual communities is the ability of the latter to engage members of the community in leadership roles previously thought to be the exclusive territory of Jewish professionals. The single greatest untapped asset of Jewish communal life is the talent of Jews who, in most synagogues, are never asked for much of anything but their money. We live in an age of DIY (do it yourself) Judaism. It is the ethos of the age made possible because so many resources are available on the web. Knowledge and skills that used to be the province of clergy are now easily acquired by lay people. A friend of mine recently told me that two of three Jewish weddings that he recently attended were conducted by lay officiants, not rabbis. The Independent Minyan phenomenon is one outgrowth of the desire of younger Jews to own and shape their own Jewish experience. In 2000 there were six groups in the entire country. Today there are over a hundred. Many synagogues have channeled the interest of their members to get more “hands-on” by creating alternative minyanim that take place in their building. Meeting in a library, classroom or social hall, the minyanim happen concurrent with the main service. Some meet weekly, some bi-monthly, some monthly. Though I know of no good study of the phenomenon my sense is that such minyanim exist at between 100-200 congregations around the country. Having visited quite a few of these alternative minyanim in synagogues I am struck by how much higher the energy is in those spaces as compared to the energy in the main service. You can even see the difference visually by looking at peoples’ eyes and smiles. Successful synagogues engage Jews in teaching classes, hosting Shabbat dinners, giving divrei torah, leading tefillah, or sharing their musical gifts. They also channel Jews into minyanim (smaller groups that meet and pray within the synagogue). Another excellent vehicle for empowering lay people is Synaplex, an innovation introduced by STAR (Synagogues: Transformation and Renewal), designed to create a series of alternative classes or experiences concurrent with the main Shabbat service. It is an ideal platform to empower laypeople, allowing them to take responsibility for one of these alternatives to the main worship service. Kol Ami (a Reform congregation in White Plains, New York) and Shirat Hayam (Conservative in Swampscott, Massachusetts) have both made extensive use of Synaplex to excite interest and attendance in their respective communities. I don’t think synagogues fully appreciate the opportunity presented by the current fascination with spirituality today. The interest is not satiated by rabbis invoking the word “God” more often. Successful congregations will help people understand the trajectory of their lives in some transcendent way. They will make it possible for their members to craft lives of sacred purpose. There is newfound interest in the study of Mussar, a 19th-century Eastern European discipline that combines the study of rabbinic sources with spiritual practices that speak to everyday issues of character—patience, kindness, humility, gratitude, etc. People will seek out communities that make them better human beings. There is no reason why every synagogue should not launch Mussar circles to allow their members to work through the issues in their lives from helping parents to raising children to managing interpersonal relationships. Another example. One of the best kept secrets in the Jewish world for 25 years has been Jewish Renewal. With the recent passing of its founder, Reb Zalman Shalomi-Schachter, z”l, perhaps synagogues will experiment with some of Reb Zalman’s inspired work in the field of davenology. Reb Zalman had a way of channeling the wisdom of the Jewish tradition and translating it into a contemporary idiom of American culture that was utterly soul-enhancing. One can get a glimpse of how it captures the passions of Jews by attending Romemu, a new congregation in Manhattan founded by one of Reb Zalman’s students, Rabbi David Ingber. There are a handful of synagogues that have made a conscious effort to bring some of the thirst for spirituality into their spaces. 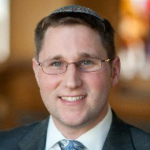 Adas Israel, the flagship Conservative congregation in Washington, DC, has undergone a radical makeover under the leadership of Rabbi Gil Steinlauf. Soon after his arrival, he convinced his leadership to launch a multi-million dollar renovation of the historic building. Central in the new layout is a Jewish Mindfulness Center, which sponsors weekly meditation sessions and yoga classes that one might find at spiritual retreat centers. Even if those programs don’t attract the majority of the veteran members, a powerful message is being sent: Judaism can nourish the souls of spiritual seekers. Adas Israel has attracted new members who might never have joined a conventional synagogue, and there is palpable energy and excitement in the community. I happen to believe that American Jewry’s best days are still ahead. 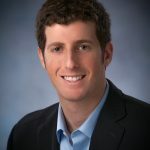 The loss of market share by legacy Jewish institutions is taking place at the same time that the Jewish innovation sector is booming. We need to build bridges between these sectors so that cross-fertilization can take place. Rabbis and lay leaders of conventional synagogues will need to take more risks and welcome innovation from whatever source it comes. Finally, seminaries, national denominations, and Jewish philanthropists need to support and encourage the new models of spiritual community that are emerging nationwide. The hunger is there. It needs to be fed. 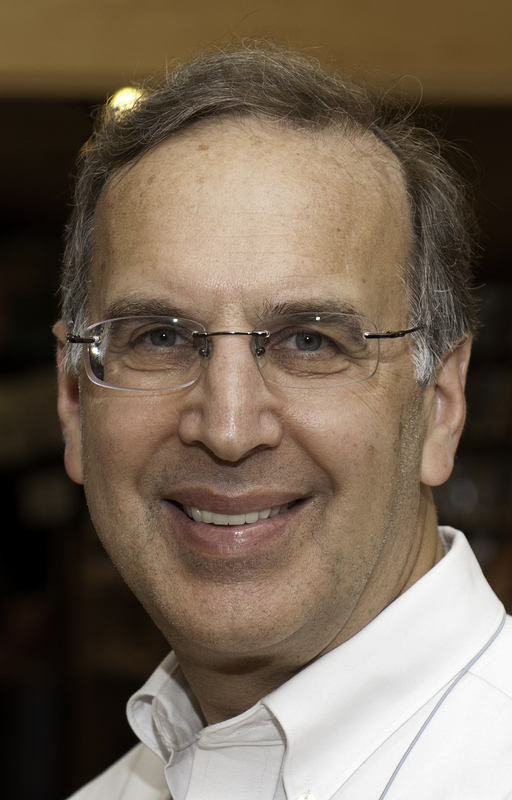 Rabbi Sid Schwarz is a senior fellow at Clal where he leads the Clergy Leadership Incubator program (CLI) A Covenant Award winner for his innovative work in the field of Jewish education, he founded and led PANIM: The Institute for Jewish Leadership and Values for 21 years. He is the founding rabbi of Adat Shalom Reconstructionist Congregation in Bethesda, Maryland where he continues to teach and lead services. His most recent book is Jewish Megatrends: Charting the Course of the American Jewish Community (Jewish Lights, 2013).